Every great store owner puts an immeasurable amount of effort into making sure customers have a great experience. After they’ve placed their order, that experience doesn’t need to stop. Everything from shipping speed to how the package looks can enhance customer experience. These can also hinder it depending on the level of execution in your store. There are some key fulfillment considerations to take into account when shipping your products. Nailing these elements can take your business from ordinary to extraordinary. In the age of Amazon, many customers expect free shipping. But, for many businesses with slim margins, this may not be a realistic goal. One of the ways to beat the call of free shipping is to make sure your shipping is fast. Customers are willing to pay for shipping if you tell them upfront that their products will be coming quickly. Conversely, offering free shipping has been shown to lead to higher order values. You can strike a balance between these options by creating a “free shipping threshold” or setting a cart value where your ROI is high enough to offset your shipping cost. Using this method to optimize your shipping for conversions can really help your bottom line. It can be a bit of a dance finding the right balance for your business but can make a huge difference when you find the right situation for your store. Aside from how to balance shipping options, there is also the need to be very clear about your options. Making sure customers are keenly aware of when their item will arrive and how much it’ll cost can be very beneficial to customer experience. This is especially true if you have honed in your shipping practices to be efficient. If you ship faster than your competitor, this can be a real value to your customers. If you offer free shipping, you can let people know that option may take longer. This could entice them into a paid shipping option and add to your bottom line. Many people may choose the free option still, but it can add to your ROI if you find the top of the bell curve for what price and timeframe people will pay extra for expedited shipping. If you’ve been running your store for a while, you’re probably able to analyze your orders to get a sense of where your shipping. 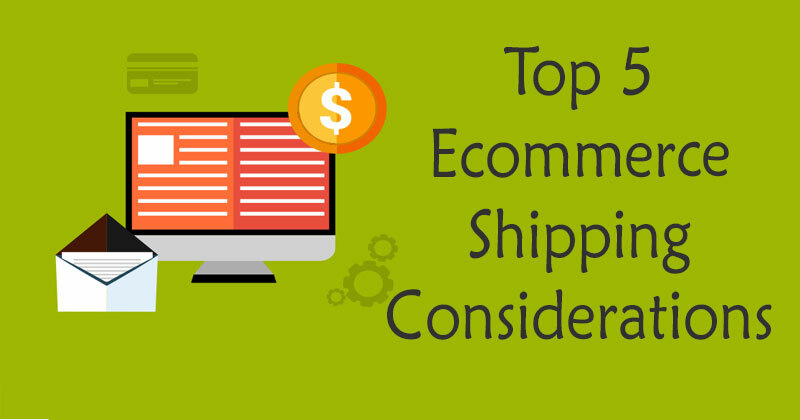 This can help you optimize your shipping costs and time estimations. If your store tends to overwhelmingly ship just to the east coast or the continental US, that can help you choose or negotiate with carriers for the best rate for your needs. Make sure you have a system and analytics in place that let you know where you shipping so you can keep track this data. For businesses fulfilling products for themselves, this may mean making sure you have an up-to-date warehouse management software. For e-commerce stores using 3rd party fulfillment services, this will be one of the questions you’ll need to ask your provider. Another way to ensure you’re getting the best rates for shipping is to know what your products weigh and their dimensions. If 70% of your shipments are under 1lb, you should be able to get a much better rate than someone who ships washing machines. Knowing this data will allow you to price your shipping effectively and keep customer expectations in-line. It’s also key to know the spread in product weight, from your lightest SKU to your heaviest SKU. If your SKUs are mostly uniform in size and weight, this can allow you to use zone-based shipping as opposed to weight based shipping. What that means is you can adjust your shipping costs based on where the buyer is located, instead of the products they buy. For example, if your store sells small dog toys, a zone-based approach may be perfect. An easy way to stand out from the crowd and delight your customers is upgraded shipper boxes. When your product arrives in a cool box, the customer experience is elevated. This can increase retention and lead to word of mouth recommendations. Differentiating yourself from your competitors with enhanced branding is a surefire way to increase customer retention. Some great examples of these can be found when analyzing subscription box fulfillment. So many subscription box companies have found creative ways to make their packages pop in your mailbox. When the purchaser sees their big pink mailer in their mailbox, they get hype because they know their new Ipsy bag has arrived. eCommerce store owners are facing increased competition in the market and being able to stand out from the crowd is key to success. If you take all the considerations when setting up your fulfillment system, you can be sure that your business is making the right decisions to increase ROI and build your customer base even larger! I am the Content Manager at Eworld Fulfillment, a scalable e-commerce fulfillment company for e-commerce and retail companies. Having worked in the fulfillment space for 5 years, I've gained so much insight into the real issues that face e-commerce sellers. In my free time I enjoy spending time with my family and watching live music.